A brief comment today riffing off of a set of lectures and seminars given by sociologist and anthropologist Veena Das at Berkeley a few weeks ago. 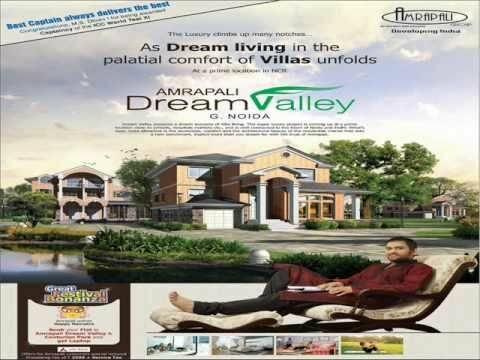 Das and many colleagues have long worked in several slum areas in Greater Noida, an extensive area of urban development including large tracts of slum housing far to the southeast of the older urban core of Delhi. This work has long troubled the sufficiency of figures of “the poor” and “the slum” and their presumptive “everyday” reality, through long-term weekly and monthly inquiry by a team trained by Das into well-being and illness, income and expenditure, relations to politicians, brokers, bureaucrats, healers, and much more. Through “amplificatory techniques,” these weekly and monthly engagements have produced a dense and complex record challenging the adequacy of much urban slum ethnography that all too moves quickly from (1) single case studies, in or across widely separated moments in time, to (2) generalized accounts of “the poor,” of conditions and of processes in the slum. What Das has argued is needed is a very different form of research. One of my concerns in this emerging project has been “duplication-from-below.” UID/Aadhaar is premised on ending “leakage,” regularizing and rationalizing state (and increasingly privatized) development and basic entitlements enabling life with an (allegedly) incorruptible ID card that uses biometrics and big data to eradicate all “duplicates” — that is, to end cheating with duplicate IDs. Duplication-from-above is the diversion of entitlements by a powerful “nexus” (usually named as politicians, parties, land mafia) that creates a phantom population in order to siphon benefits on a massive scale. Its opposite in formal terms is a duplication-from-below by which less empowered people get by with multiple (“duplicate”) ration cards, false (“duplicate”) addresses, and so forth. De-duplication, the new order of information promised under Aadhaar/UID, is of course premised on ending both. If the new order threatens livability by depriving more marginal persons of the tactical resources of duplication, the benefit will be the legitimate flow of currently throttled entitlements and greater wealth and health for all. Or so the promise of the card is framed. One could look at life in the areas studied by Das, her colleagues, and their research team as intensely “duplicated-from-below.” But the rigor of the amplificatory method they employ has allowed them to place what I term duplication in real time, as it were. Let me give an example of duplication, from a paper by Das, and how it might conventionally be read. Then let me apply the discussion she offered during her Berkeley visit to rethink the problem of the duplicate in time. The fieldworkers’ account of Meena’s TB shifts. Initially in 2000, “Meena had reported that her first episode of TB occurred three to four years ago. At that time she said that she took medications for a long time – perhaps seven months, perhaps one year.” But later “she said to one of the fieldworkers that she had TB for the last eight years which had ‘never been cured.’ She described a complicated story in which first, she talked about a breast abscess after her child’s birth, a minor surgery as well as fever, cough and weakness.” The earlier period of TB occurred when she was still in the village. Meena took medication until she became asymptomatic or even remaining weak given the lack of money. After she went to a local BAMS [Ayurvedic Medicine] practitioner who gave her antibiotics, analgesics, and other medicines. Her need to get well was intensified by the fear that her husband was seeing another woman. Das suggests that the particular practice used by Meena’s husband to get her into a DOTS program or treatment center closer to home, what I am terming in relation to the language of UID as “duplication,” is also not enough to explain why clinics never treated her in relation to her previous medical history. Still, a pattern emerges: care from the wage-earning husband is inconstant and Meena depends both on him but on others (her relations, social welfare agencies [here the research team] who use their own connections to get her seen far from home. At some point when her husband becomes involved in her care he moves her back closer to home. These moves may involve a “duplicate” name or address change. Whether or not the care network resorts to duplication, the clinic seldom attends to Meena’s past history of TB in prescribing. Duplication as access to care? Duplication-from-below emerges here as a resource–for the relative who moves Meena to a government hospital and for her husband who on two occasions moves her care closer to home. But Das and colleagues show that whether or not the care network “duplicates” Meena’s identity to get her admitted, her de-duplicated medical file is not utilized. The context, in which the Government of India’s failure to organize effective DOTS treatment for drug resistant TB has led to calls for UID to be used to deterritorialize TB care and create incentives and demands for de-duplicated patient identity, is critical: in theory, allowing for the mobility of the patient file through UID/Aadhaar could lead to Meena’s information following her clinical trajectory. But the very structures of diagnosis and assessment have produced a body of knowledge which asserts that practitioners, most with substandard or nonexistent training, do not need such long-term mobile knowledge to treat people like Meena. UID promises de-duplication, deterritorialization, and thus better care. The shifting availability of care from husband/husband’s family and her own family/outsider welfare have demanded that various persons in Meena’s world duplicate her in order to deterritorialize her care. And at some level, heretofore Meena’s duplication or de-duplication does not seem to change the quality of care as the clinic, despite the prevalence of MDR-TB, continues to treat each episode as a singularity. Will a new demand for Aadhaar that makes duplication-from-below more challenging change the situation in terms of clinical norms of treatment? The sense one gets from this paper is pessimistic. Finally, Das at her Berkeley talks made a point that echoed one with which I began discussing this paper. 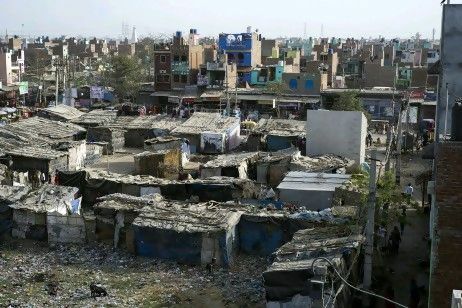 The complex conditions under which slum residents may make some kind of normative claims on state or corporate or NGO programs lead to the multiplication of addresses. Programs often mandate audits of the informal slum and may find previous systems of house-numbering to be inadequate or untrustworthy. Numbering systems proliferate. Das described a given slum area that had some 4 or 5 parallel numbering systems each created by a specific agency of slum governance or welfare. At stake in the duplication, that is, may be an intensification of the accusation of untrustworthiness. Slum-dwellers are accused of cheating, of duplication, and are assigned new numbers, a presumptive de-duplication. But each effort to de-duplicate only intensifies the condition of duplication and the accusation. A set of articles recently sent me by friends have inspired the next several postings. This article was sent by Harris Solomon, from the DNA news website published today, 22 June. To keep track of the number of tuberculosis cases, a unique identification (UID) number was set to be issued to new TB patients from July 15, state health department sources revealed. The scheme will be implemented across the country and will help doctors mete out the necessary treatment after referring to the digitised records to be available nationally. It will prove beneficial to migrant patients who often fail to avail the complete treatment after they move to their native places. The new system is specially designed to target migrant multi-drug resistant (MDR) TB patients and help doctors keep a tab on the treatment they have already received. It will also prevent duplication of UID numbers as their Aadhar card number will be mentioned as well. 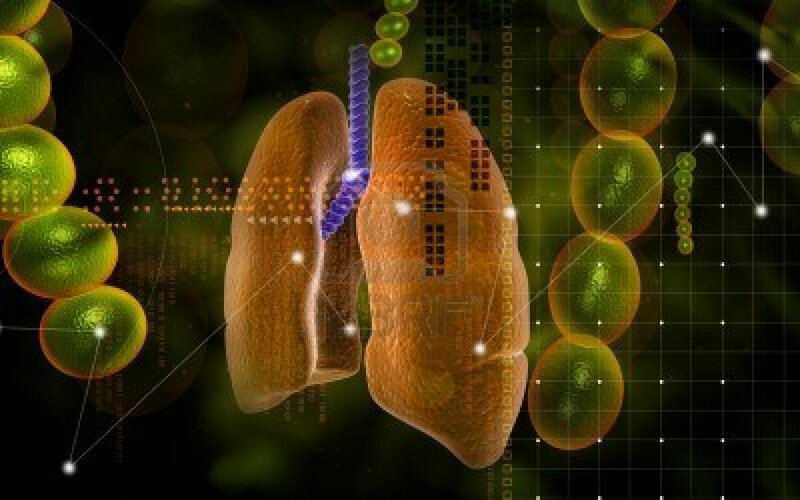 The state has recorded 1,34,000 TB patients out of which 50% have contracted pulmonary TB for the first time. 25% cases are instances of recurrent TB while the remaining 25% have contracted extra pulmonary TB. There is a lot here to think through, and as ever with this project one’s knowledge is limited and learning curve steep. For example, the article differentiates the “UID [universal identification database] number” from the “Aadhaar [identity card] number” (huh?) and argues that having both of these is necessarily to resist the threat that this blog has wrestled with from the beginning, that of duplication. So perhaps the next posting can clarify this doubling, assuming the article is correct, of the very number (Aadhaar/UID) whose uniqueness was to guarantee the promise of the de-duplicated nation. As with the earlier tussle between the Finance and Interior Ministries over who controls the national database, I want to suggest a familiar theme, that the Ur-database necessary to guarantee India’s de-duplicated, deterritorialized, de-corrupted promise is itself constantly being threatened with duplicates. But let’s focus on three issues, as ever, for now. (1) Biopolitics: at stake, first and foremost, appears to be a presumptively more effective means of health surveillance that can take account of the migrant status of persons taking medication for tuberculosis. TB patients will be registered for UID/Aadhaar. Registration will give doctors both aggregate information and patient-specific information. The latter will enable tracking patients as TB patients migrate. The direction of migration noted is not rural-to-urban but rather urban-to-rural. Why only urban-to-rural migrants are a problem is not specified. Is there a presumption of less drug availability, less clinical knowledge, less data, or less effective adherence? Interesting that the return to the local “native place” becomes the clinical problem to be addressed. Rural-to-urban migrants: not the clinical concern? In my limited experience, patients in urban north India over the decades I have worked in clinical settings were far more likely than in the US to have control over their medical file, producing sections of it in doctors’ offices in order to create a range of desired clinical outcomes: files, that is, in theory migrated with patients anyway. TB differs, possibly for many reasons: adherence control in the face of drug resistance may mandate more intensive surveillance. Mobile medical knowledge, it would seem, can no longer depend upon patient-driven file mobility. (2) Biopolitics and information failure: In the Maharashtrian case, the article implies that adherence failures and drug resistance may be due to a situation of information failure. This is an idea worth thinking carefully about: that biopolitics is a matter of information adequacy in the face of certain forms of population migration. It develops the theme of deterritorialization: that UID/Aadhaar enables more flexible relations to place. Here surveillance is no longer a matter of the body fixed in its slum, repeatedly observed. The unit of analysis is now the ID number in a mobile trajectory. Somehow, the return to the village, to the native place, presents a particular clinical-informational deficit that the ID number must supplement. What might it entail that fleshly conditions become digital conditions? I am not sure that there is much new here: surely the history of medicine long engages the relation of the sickness to the form of its representation. (3) International informational standards: the WHO is positioned as an auditor here, and the Government of India must adjust its digitization accordingly. It would be interesting to think about the international governance of digitization, and how power here is organized and distributed.